It’s been thought Xiaomi is offering the most cost-effecting smartphones. Of course, this company has been making a name with this strategy in mind. But other brands understood this quickly and began following it as well. OPPO is one of them. One of the world’s most popular smartphone brands, recently, has launched the OPPO K1, which is a thousand-yuan phone with a screen fingerprint recognition. As you know, this feature is available mainly in flagship models. 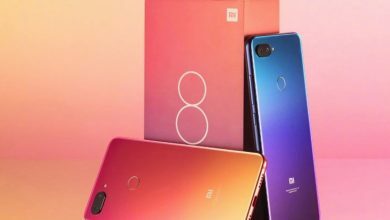 As for Xiaomi, only two of its handsets support it – the Xiaomi Mi 8 Explorer Edition and the Xiaomi Mi 8 Pro. But when taking into account the overall look and hardware features of the K1, it should compete with the Xiaomi Mi 8 Lite (aka Youth Edition). So we decided to compare them in order to find out what else the K1 can offer but the screen fingerprint. Both phones are designed with a gradient body. The biggest difference in appearance is that the Xiaomi 8 Lite uses a 6.26-inch bangs screen design with a screen ratio of 82.51%, while the OPPO K1 uses a 6.4-inch water drop screen design, and the screen ratio reached a high 91%. Not only that, the OPPO K1’s control on the black side border is more excellent. Especially, it refers to the chin. The chin of the Xiaomi Mi 8 Lite is obviously larger than the OPPO K1. Although the OPPO K1 is similar in size to the Xiaomi Mi 8 Lite, its screen is relatively larger. And this is actually the gap between the processes. We mean the OPPO K1 is obviously better than the Xiaomi Mi 8 Youth Edition in the details processing. Though both provide gradient back effect, the gradient color of the Xiaomi Mi 8 Lite belongs to the highlight gradient category, while the OPPO K1 belongs to the relatively stable gradient color category. The color of the red and blue gradient is in line with the individualized pursuit of fashion for young people today. It is worth noting that the OPPO K1 is the first smartphone equipped with screen fingerprint recognition technology in the current thousand yuan camp, while the Xiaomi Mi 8 Lite is equipped with a rear fingerprint recognition module. From this point of view, the advantages of the OPPO K1 are self-evident. After all, this is a feature of the flagship model. As for the camera, both handsets come with a horizontally arranged dual-camera. The Xiaomi Mi 8 Lite sports a 12MP+5MP dual-camera with AI support, in which the main lens is the Sony IMX363, while the OPPO K1 comes with a 16MP+2MP regular dual-camera. Let’s take a look at the real samples in order to understand which of them performs better. The OPPO K1 has a lower hardware quality in the photo imaging, so the control of the amount of light is a bit worse. When the sample was taken, it was raining. Due to the poor light, the overall imaging was dull. The Xiaomi Mi 8 Lite also has the upper hand. Compared the macro shots, we can see the OPPO K1 image is biased towards a cool color, and it can be done in detail reduction. 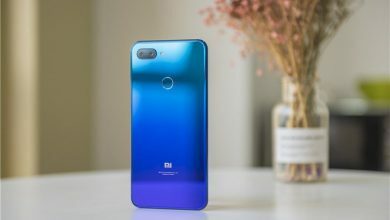 The Xiaomi Mi 8 Lite has a warmer color, and the overall color reduction does not reach the level of the flagship machine. The OPPO K1 performs well in terms of controlling noise, but some glare occurs, while the Xiaomi Mi 8 Lite controls glare better, but white balance is also exposed. In terms of hardware configuration, the OPPO K1 is equipped with a Qualcomm Snapdragon 660 and a flagship-level 6GB+64GB storage combination with a built-in 3600mAh battery. The Xiaomi Mi 8 Lite is also equipped with a Snapdragon 660 processor, but the storage combination starts with the more conventional 4GB+64GB, and the battery capacity is 3250mAh, which is slightly smaller. In terms of cost-effectiveness that everyone cares about, the Xiaomi Mi 8 Lite sacrificed some demanded features and came at a lower price tag of 1399 yuan. At the same time, the OPPO K1 sports the flagship-level screen fingerprint, a drops screen design and a gradient back panel. It is priced at 1599 yuan, and it is bound to set off a huge wave in the thousand yuan machine market. The lucky draw promotion for Black Friday is coming to Geekbuying!